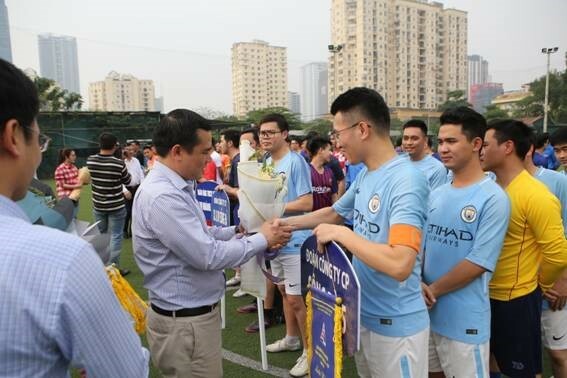 The ceremony of Youth Month 2019 and Youth Football League of Song Da Corporation 2019 were launched in the afternoon of 12th March 2019 in Hanoi. At the ceremony, On behalf of Song Da Corporation are the attendance of Mr Vu Duc Tu- member of standing committee of Central Trade Union, Secretary of Private Enterprises Trade-Union; Mr. Pham Van Quan – Deputy Secretary of Party Committee, Member of the Board, Chairman of Corporation’s Trade Union; Mr. Pham Duc Thanh – Deputy General Director. 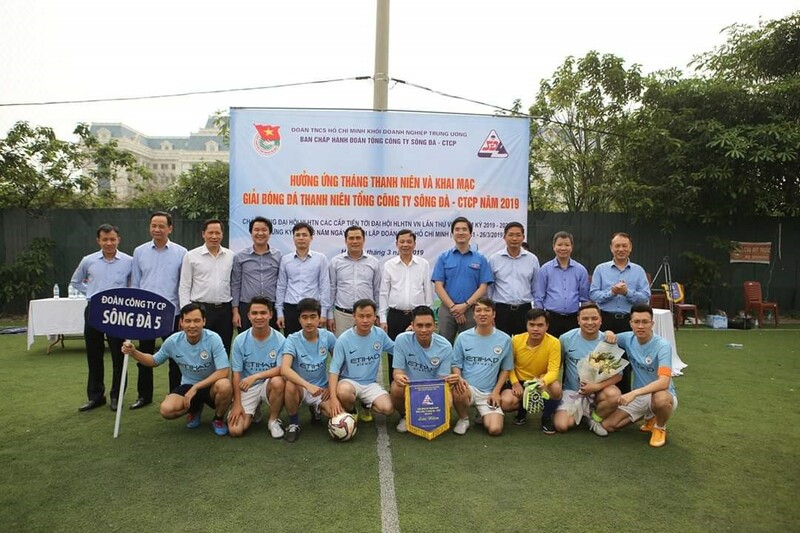 For and on behalf of Song Da 5 JSC, It has the attendance of Mr. Nguyen Dac Diep – Acting General Director, Leaders of Company’s Trade Union, Youth Union and the attendances of Players, and spectators who are the employees of Company. 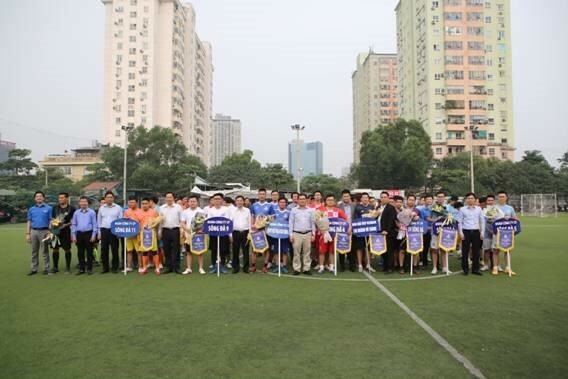 At the ceremony, On behalf of Song Da Corporation, Mr. Pham Van Quan – Deputy Secretary of Party Committee made a speed and launched the Youth Month 2019 and Youth Football League of Song Da Corporation 2019. The Youth Football League consists of 16 matches, take place from 12th March 2019 to 21st March 2019. The League has 8 Football matches, divided into 2 rounds, each round of four football teams. The first and second winning teams of each round shall compete directly to each other. Football teams signed the competition commitments. The Youth Football League is an annual activity held by Song Da Corporation to promote the sport movement and to create the healthy and useful playground, enrich the spiritual life, improve physical health for officers and employees, Besides, this activity also help enhancing the mutual understanding, the unity, exchange between units, create joyful and exciting atmosphere, help the officers and employees to finish excellently their duties.